Noobie Bronco Tech Questions. Flame free zone! General Discussion/ Bronco and Wheeling related. Ford Bronco Forum > Welcome > F.O.T.M Voting > May 2018 F.O.T.M. Vote here !!!!! View Poll Results: Who will be your May 2018 F.O.T.M. ??? Hmmmm, smells like a "Podcast" to me. Just what time tonight would that be????? But My oh My, What a Contest this was. Right down to the Wire. itwasFREE!!! !, Warhoss and SRWillis like this. Last post, may the best man win..for those late to game check out some previously posted videos..peace. itwasFREE!!! !, White Dragon and Warhoss like this. damn man. I broke that tie earlier today and now I've got nothing left to give. Great run, AWESOME rigs! Good luck to the tied and thank you everyone for the great show! itwasFREE!!! !, White Dragon, Warhoss and 1 others like this. Watch & VOTE for FULLSIZEBRONCO of the MONTH!!! Congrats to @RicksBroncoBeast for the win!!! BigBlue 94, White Dragon and Warhoss like this. What a Month man !!!!! I'm sure we would all agree this will be one for the record books !!!!!! Help me congratulate @RicksBroncoBeast on his well deserved win !!!!!!! White Dragon, RicksBroncoBeast, Warhoss and 1 others like this. 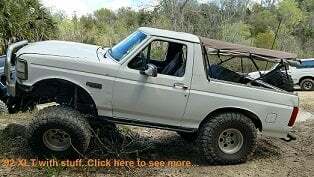 In order to be able to post messages on the Ford Bronco Forum forums, you must first register. 35140 Attachment(s) Post a random pic.